The quickest way to stop a controversial discussion in its tracks: make the teacher’s viewpoint obvious and hostile. A teacher might inadvertently create discussion questions that imply a right and wrong answer, putting students that disagree in an awkward place. One way to avoid this is to have a colleague (preferably with different viewpoint) read over your discussion questions before you present them to the class. If there seems to be a majority opinion in a class, make students take the opposite viewpoint. This gives students with the minority opinion a chance to add to the discussion without being outed as a dissenter. In traditional classrooms, teachers can only do so much. After all, students are not anonymous in class, and must face their peers after class. Luckily, you can get those remaining students to open up using a digital line of communication, like our mobile app or web based tool, nClass. Allow students to submit text responses anonymously, without fear of peer judgement. This means students who feel uncomfortable voicing their opinion can still participate. In fact, if responses in the class are positive, a few preliminary anonymous digital comments may encourage students to voice opinions they’d only think about typing before, in turn enriching the class discussion. 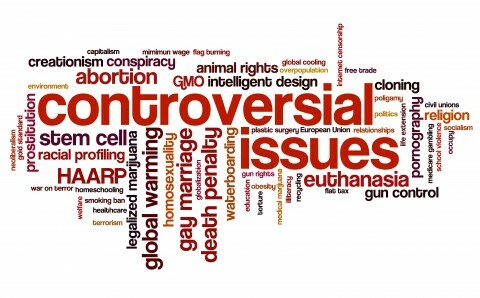 What helps you create a comfortable space for controversial discussions? Let us know in the comments.